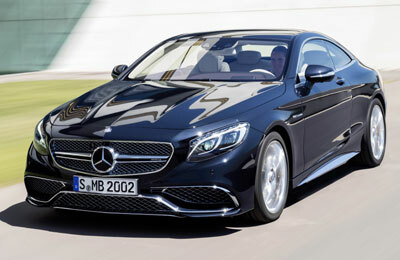 Mercedes-Benz has unveiled the S 65 AMG Coupé, the new twelve-cylinder top-of-the-range model in the S-Class Coupé series for the Middle East market. The model features an AMG 6.0-litre V12 bitubo engine, with an output of 463 kW (630 hp) and 1,000 newton m of torque, which is unique in its segment, as is the AMG sports suspension, based on Magic Body Contrl with curve tilting function and Road Surface Scan. Built in Affalterbach, according to the ‘one man, one engine’ principle, the AMG V12 engine delivers an acceleration from 0 to 100 km/h in 4.1 seconds and a top speed of 250 km/h (electronically limited). Dirk Fetzer, director of sales and marketing at Daimler Middle East and Levant, said: “The new S 65 AMG Coupé is the dream car from AMG in the luxury Coupé segment. The vehicle, which has been dubbed by both consumers and the press as the most beautiful car in the world, is now available with the unsurpassed luxury and comfort of the new S-Class, and the driving dynamics of a 12-cylinder Biturbo engine. The Magic Body Control suspension system includes road surface scan technolgoy that can detect surface undulations in adavnce with the help of a stereo camera and active body control (ABC) that can detect curves using both a stereo camera behind the windscreen, registering the curvature of the road up to 15 metres ahead, and an additional lateral acceleration sensor. The electromechanical speed-sensitive sports steering with variable steering ratio perfectly complements the suspension technology: it optimises vehicle handling and agility while maintaining driving safety at high speeds. The model’s features include design elements in high-sheen chrome at the front, sides and rear which are particularly effective in conjunction with dark paintwork: the large central Mercedes star on the front apron, the "twin blade" radiator grille, all of the air intake grilles, the trim strip on the "A-wing", the side flics (air deflector elements) and the front splitter are all chromed-trimmed. The interior of the two-door car features the finest materials, the highest manufacturing quality and an extensive range of standard equipment. It is dominated by the sports seats, the upholstery is in AMG Exclusive nappa leather with seat upholstery layout in a diamond-pattern design boasts delineated perforations that avoid the areas where stitching features in the nappa leather.